A couple of years back I did a website for a friend of mine, which I blogged about in The Making of Haraldbaumgartner.com. We did a couple of updates since then, but there haven’t been any changes over the past three years or so. Moreover I neglected updating the software behind the website, so it was still running off Joomla version 1.7. About a week ago the provider disabled PHP 5.6, which Joomla 1.7 depended on, so the website was broken. It also meant that there was no path for automated upgrades any more. 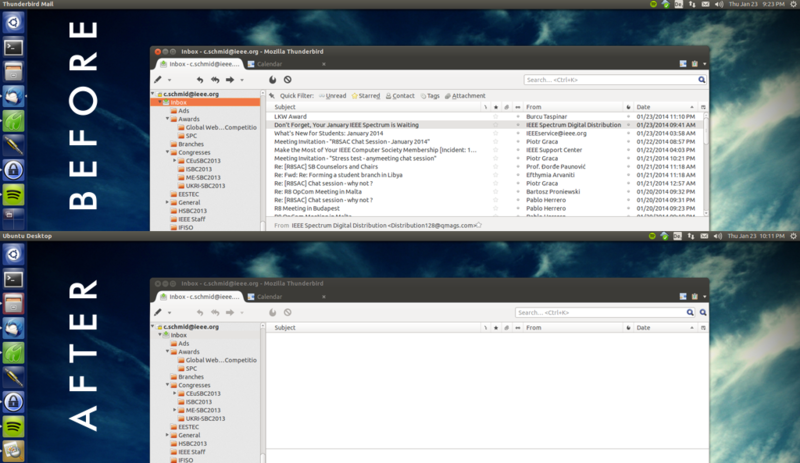 Install Ubuntu in VirtualBox and then in Ubuntu install Apache and mysql. With this in place I could restore all the stuff I nedded and migrate to Joomla 3.9. Finally http://www.haraldbaumgartner.com/ is back online! On the way there I also fixed all the file permissions, so that in the future Joomla would be able to update automatically. This is an apology to all the people who have sent me an e-mail over the course of the past 5 months and have not received the response they expected in time. I was swamped at work, with my PhD project, IEEE activities and other challenges in my private life. But now I am on top of things again. I’ve reached “Inbox Zero”. jdotxt is an open source, cross-platform Desktop tool for managing your todo list. It’s geared towards Gina Trapani’s todo.txt file format and stores all of your stuff in two human readable text files. Having these files on your owncloud, dropbox or any other cloud storage makes it easy as pie to keep your todos in sync across multiple devices. Download installer. When you launch jdotxt, you may be asked to download and install Java, which you should do in that case. After executing the second line you will be asked, which version of Java you would like to use by default. Select the one that has version number 7 or higher in its path name. Download and install the jdotxt Debian file. Of course this works on Ubuntu too, but it is highly recommended to use the repository, for automatic updates. You are more than welcome to drop me a line via one of the online platforms I use, or to contribute by reporting bug reports or feature requests via github. The source code is also hosted on github.com so feel free to contribute! jdotxt is free software: you can redistribute it and/or modify it under the terms of the GNU General Public License as published by the Free Software Foundation, either version 3 of the License, or (at your option) any later version. Since blogging apparently doesn’t work for me lately I’ll try microblogging for 30 days. Here’s my twitter feed. I wish you and your loved ones all the best for 2015! Hope to see you again this year! Public-Key Cryptography is a truly magical thing and I often wonder why we don’t use it more often. We go on and complain about how it is too easy for government agencies to look into our digital lives, while we do have all the tools to prevent it. Only we don’t use them and we don’t seem to ask facebook, gmail and so on to use them – not that they would. The funny part is that it would not require a lot of effort, because computers could automatically do all of that stuff in the background. All that would be needed is that we were able to securely store one, long password (the private key). In a nutshell public-key cryptography is a mathematical concept that allows us to encrypt a message that is intended to be read by just one person and to sign something to guarantee that it really came from you. In addition to that it is important to know that it is (almost) impossible to find the keys from the Plain text and/or the Cypher Text. Anyone can encrypt a message using the public key and send it to Alice. Only Alice and nobody else (e.g., someone who intercepts the cypher text) will be able to read the plain text when only Alice knows her secret key. – This use case is also called “Public-key encryption”. Alice can encrypt a message using her private key and send it to anyone. If it can be decrypted using the Alice’s public key, one has a guarantee that the original message really came from Alice. – This use case is also called “Digital signing”. The secret key is Alice’s crown jewel that she must not lose or share with anyone, because anyone in possession of the secret key can do what Alice can do. Well that is why it’s called the secret key. Just by reading this article and by understanding it, you should have a pretty good idea about what level of protection encryption can give you and where potential problems may lie. Again, never forget: your secret key is your crown jewel that you must never share and that your software must never leak. By the way, this is something that is especially hard to check with closed source software and also something that the heartbleed bug may have caused. 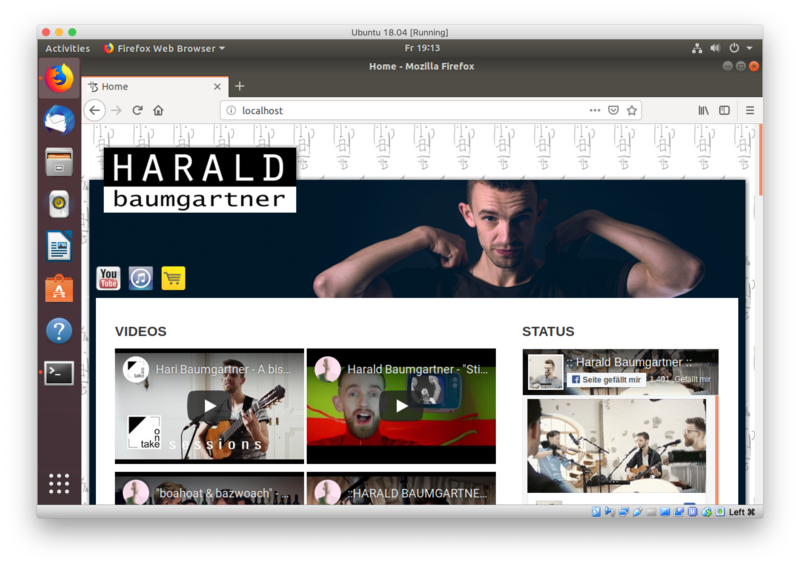 About two years ago I blogged about setting up the website of Austrian singer Harald Baumgartner. In an attempt to make his work more well known to the public he’s now part of a reality television-music competition series called “Herz von Österreich” (“Heart of Austria”). It’s only airing in Austria, so you might not have heard of it, it’s similar to the Idols TV series. – As I don’t watch television, I didn’t know about it either until he called me last week. The show in which he’s going to appear is going to air this week on Friday and so some updates to his website became inevitable. I guess that’s the kind of stuff you’re supposed to do on an idle Sunday afternoon. Helping an old friend. See for yourself http://www.haraldbaumgartner.com – and please don’t forget to vote for him on Friday. I did some statistics a while ago. Today I can give you an updated version. My term as IEEE Region 8 Student Representative lasts for 388 days now and on average I have received about 18 e-mails per day and I have sent out about 3.5 e-mails per day. – My work and private e-mails go through different accounts, so that is just the IEEE stuff. The way I try to deal with my mail is simple. – Nothing is allowed to stay in my e-mail Inbox, unless it is unfinished buissness. If I receive some invitiation to some conference that I don’t care about -> it goes into my Ads folder. If I receive some ads -> again Ads folder. Other mail goes into project related folders unless it requires some action that I am for some reason not willing to put on my todo list. In that sense my Inbox is also a kind of todo list, which should be as empty as possible. From time to time I fall a little behind, so it was time to do some serious housekeeping today. 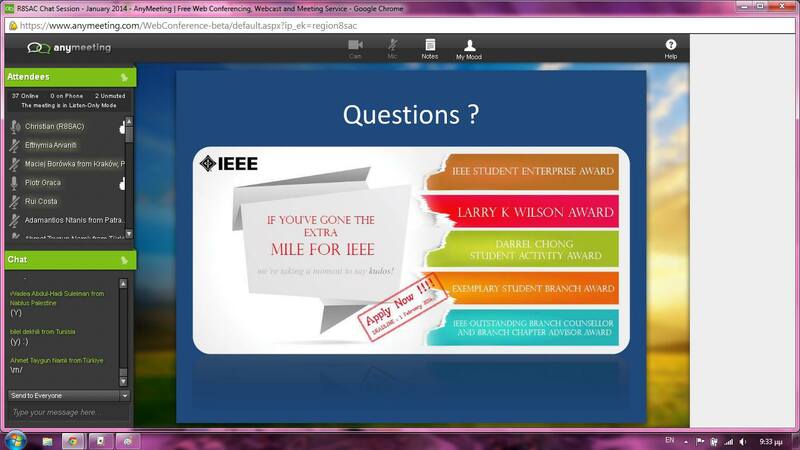 and the 2014 IEEE Region 8 Student and Young Professional Congress in Krakow. I guess there are a lot of exciting things coming up in 2014. Some people started sharing screenshots from the online session on facebook. I can’t resist to share with you the screenshot of this pink desktop by Christine Avdikou. I wish you and your loved ones all the best for 2014 and enjoy today’s party!